In Singapore, the challenge of feeding a growing population is pushing the concept of urban farming to new heights. Singapore has one of the highest population densities on the planet. More than five million people crowd into this small, wealthy island city. Land here comes at a premium, forcing people to expand up, rather than out. And it’s not just office towers and apartment complexes that are reaching skyward. 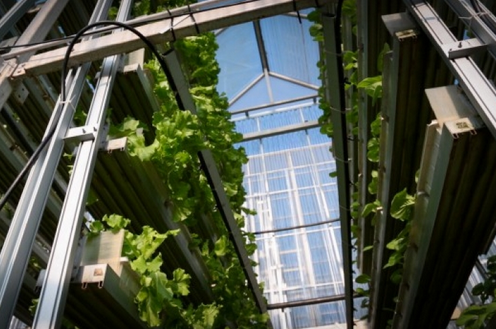 Singapore now has one of the world’s first commercial vertical farms. This story was produced by The Center for Investigative Reporting. Singapore’s Chinatown used to be a crowded and chaotic place. Then the government renewed the life right out of it. Authorities are working to restore the neighborhood’s authenticity, but with little success. Little India, meanwhile, has retained its character. Is there a lesson here? A generation ago, Singapore’s Chinatown was a crowded and chaotic place. Then the authorities launched a massive urban renewal campaign. They razed derelict buildings, modernized services and cracked down on informal businesses. Part of their justification was to make the district more attractive to tourists. But tourists stayed away, complaining that the place had lost its soul. For the last two decades, officials have been working to bring back Chinatown’s authentic feel. Architecturally the project has been a success, but it hasn’t restored the old vitality. Critics say the streets today feel more like a shopping mall than a living neighborhood. Little India is a very different story. You can still see the original shophouses built by the British, with commercial space on the bottom floor and living quarters above. Because the Indian community still comes here to shop, Little India remains a vibrant mix of neighborhood stores, restaurants, and temples.